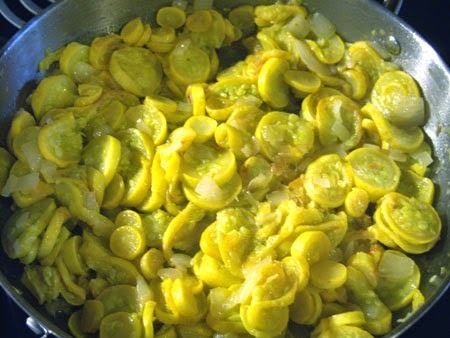 Summer is here and yellow squash are in high season! This dish is a great Southern classic. Don't let its looks fool you; it is delicious! 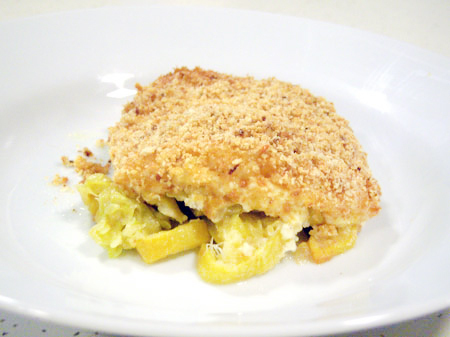 The eggs and cheese form a more substantial layer in between the soft squash and crunchy crackers. It is fantastic with yellow squash, but would also be great with zucchini. I'm also scheming on making it with butternut squash when they start showing up at market. Enjoy! 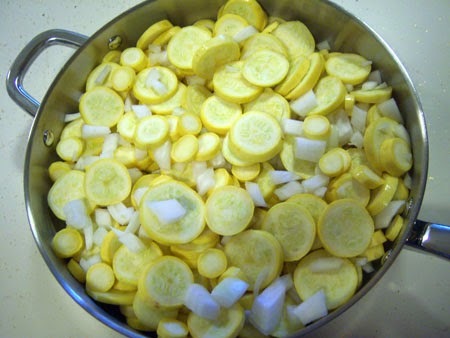 Saute squash and onions in the olive oil on medium-low until soft. 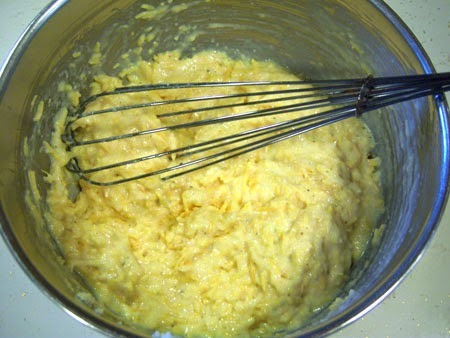 In the meantime, whisk butter, eggs, parmesan, cheddar, mayo, salt, & pepper together in a medium bowl. Keep in fridge until needed. 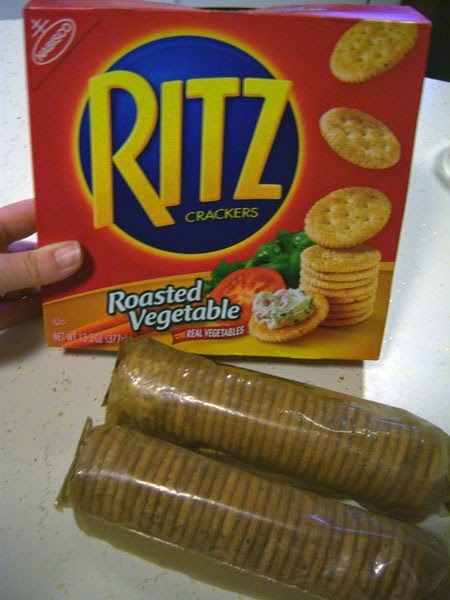 Crush 1 whole + 1/3 sleeves of your Ritz crackers in a gallon-sized zip-loc bag. 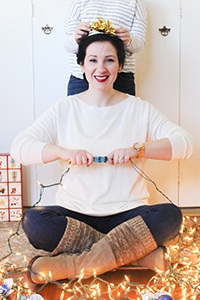 I do it with a rolling pin, but you can use your hands or a heavy cup. 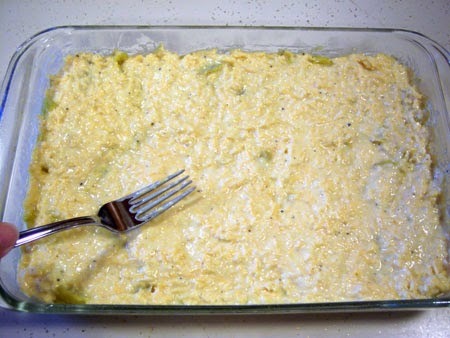 Prepare a 9x13 casserole dish by greasing or spraying with Pam. 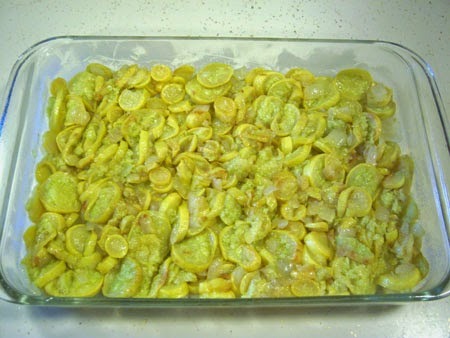 Squash and onions are done when soft and most moisture is cooked away. 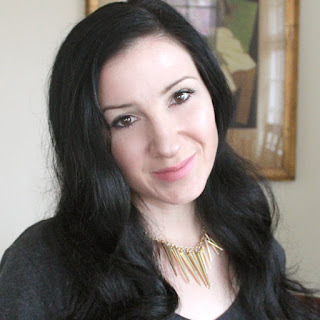 Pour them into the casserole. Spread them out into an even layer. Next, pour your sauce layer on top (it will be fairly thick), and spread evenly with a fork. 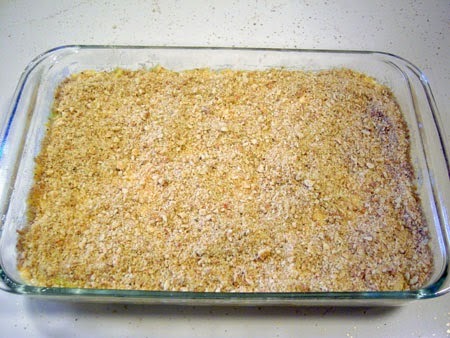 Lastly, sprinkle the top with your crushed crackers. 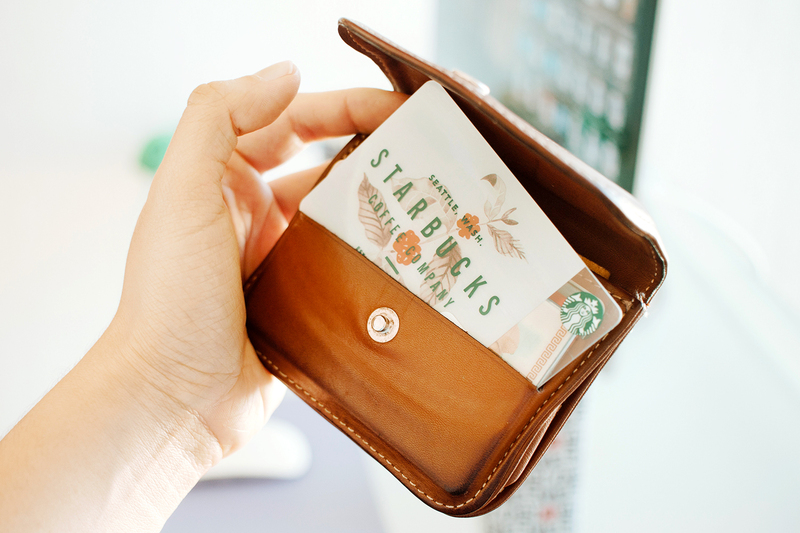 You don't have to use them all; it's just to your taste. 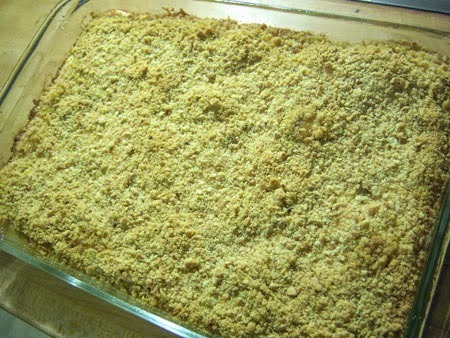 Bake for 20 minutes until bubbling hot and topping is browned. Are you a fan of squash? 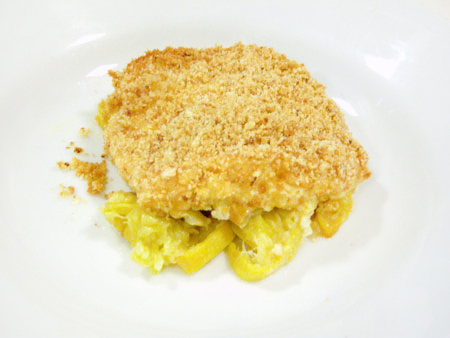 What are your favorite yellow squash dishes?